Machine Sentry® is suitable for a wide range of applications including; rotating machinery, electrical, pipework and other structures. The software operates on industry standard Android tablets, smartphone or other compatible devices including ATEX certified tablets and smartphones, and can be configured to meet the needs of almost any situation. Battery powered sensor that measures vibration and temperature. 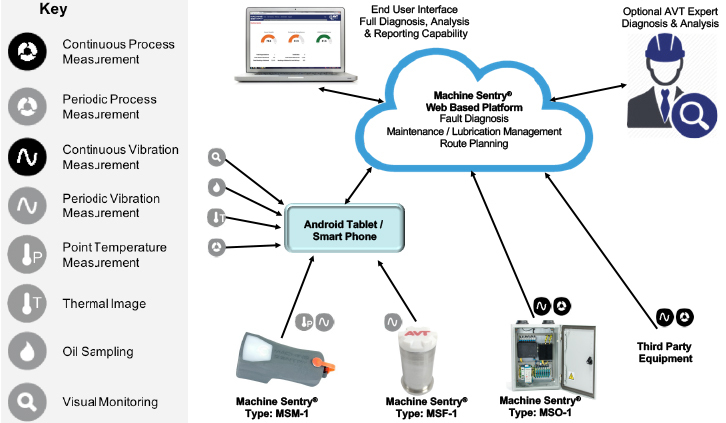 The sensor communicates via Bluetooth to an Android device (phone or tablet) running the Machine Sentry® app. 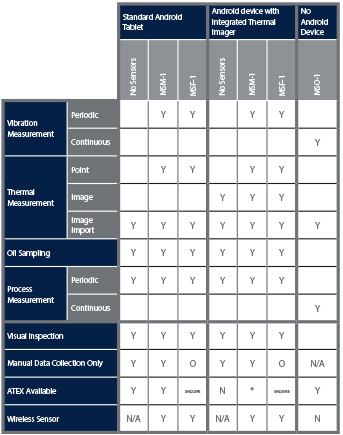 Multichannel vibration measures vibration process variables sensor communicates network, ethernet the Machine Sentry database. Provides an interface between third party equipment into the Machine Sentry® platform Machine Sentry® can communicate via Machine Sentry® Sync with a range of third party equipment such as multi-channel online vibration analysis systems.